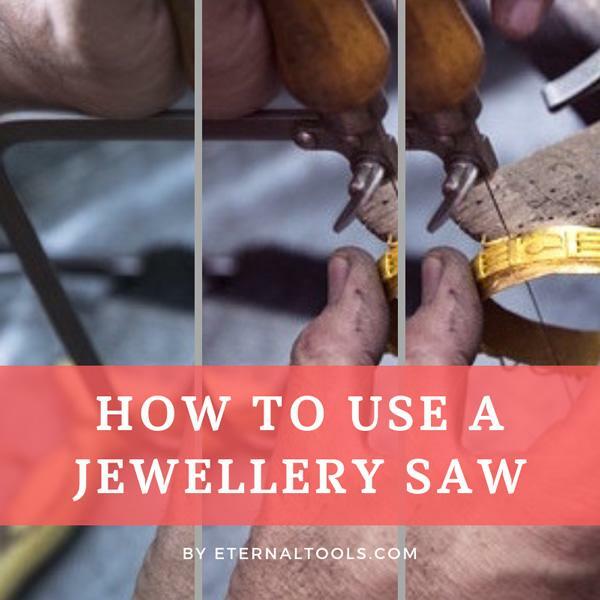 One of the most widely used tools on any jeweller's workbench is the jewellery saw. Sometimes referred to as a Jeweller's Piercing Saw, they are used to hold saw blades for cutting through material. 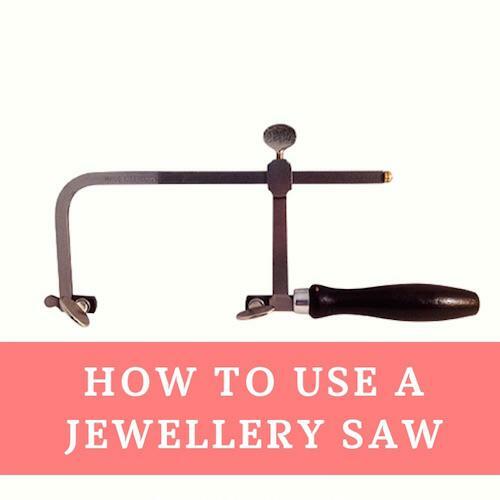 A vital tool for metalsmithing, a jeweler’s saw allows you to cut intricate shapes and pierce holes (hence the name 'piercing saw), inside a piece of sheet metal. Over the years the jewellery saw has seen many adaptions to try and jazz it up, may it be an ergonomic handle or one with fancy adjustable clasps to hold the wire. However, all you ever need is a basic saw, one that is lightweight and comfortable to hold, affordable and adjustable. A good standard depth size is 80mm (3.15"). German or Swiss made are some of the best quality ones you buy. An adjustable frame makes inserting the blades super easy as the top clamp slides along to ensure you can make the blade as taut as possible. Even the best quality Saw blades and the best sawing technique will result in many blades breaking and snapping - they break all the time so don't be dismayed. By having an adjustable saw frame means you can still use these broken bits of saw blade by adjusting the frame to cater for a shorter bit of wire. Saw blades are graded from 8/0 to 6. 6 is the coarsest blade through to 8/0 being the finest. I usually find a 2/0 or 3/0 blade will see me through most jobs. 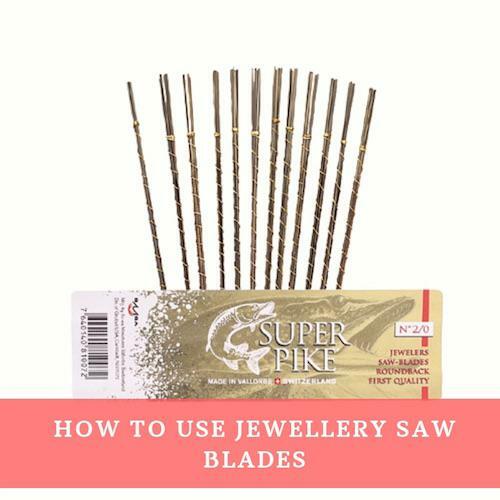 For the best quality saw blades for cutting metal choose Swiss made, high quality steel blades such as Super Pike, Vallorbe saw blades. Move onto a 4/0 or 6/0 for more intricate work and thinner metal. Finer blades will tend to be used on harder metals. If you're cutting glass or stone you will need a Diamond coated saw blade such as these: Diamond Wire Hand Saw Blades. These work in much the same way as steel blades, but you will need to use water instead of beeswax to lubricate the blades and help prevent the blades from wearing out the diamond coating too quickly. Have a read of our article 'How to Easily Cut Sea Glass an Stone Using Diamond Wire Saw Blades' to find out more. Make sure it's the real deal and use a beeswax that is 100% pure and natural. Run beeswax along your saw blades and they will cut smoothly through the metal without 'catching', making sawing much easier and reducing the amount of broken blades. Beeswax for the jeweller has a multitude of uses, why not have a read of our article '12 Uses for Beeswax in Jewellery Making' to find out more. If you have an adjustable saw frame the process of fixing in the the blade is easy. Place the wire in one end, stretch it out and place in the other and use the sliding action of the top screw clamp to tension the blade. You want the blade to be taut, and 'pluck' as you would a guitar. if you hear a 'ping', it's in tight enough. A loose blade is more likely to break. The following method is only applicable to fixed frames. Press the saw frame against a table or your workbench and fix the other end of the blade into the screw nearest the handle. 1. Place the metal you wish to cut over the 'V' of your wooden bench pin keeping it firmly pressed down. 2. Hold the saw frame lightly with your arm and body relaxed. 3. 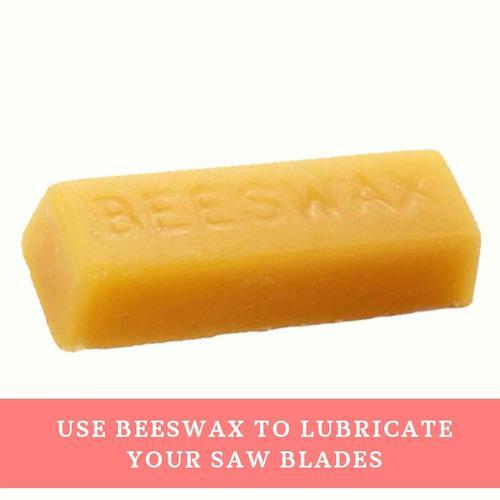 Lubricate your saw blade with beeswax. 5. Slightly angle the saw to begin with, pulling the blade down using long, even strokes until the first cut is made. 6. Move the saw back to a vertical position and continue to cut making sure to cut on the waste side of your design (that's the side outside of your design) in an up and down motion. 7. When cutting curves or turning corners, move the metal instead of the saw. You'll have less broken blades and more control over the cutting. If you need to cut from the middle of the metal drill a hole using an HSS drill bit or pierce a hole using a centre tool then insert your blade into the hole. Saw with long strokes, using little pressure and use the full length of the blade. Cutting only happens on the down stroke so keep the pressure light on the up stroke. Have a few saw frames lined up with different grade blades so you don't have to keep changing blades.